Swingline ClassicCut Lite 12 Inch Trimmer Just $29 (reg. $52.49)! You are here: Home / Great Deals / Amazon Deals / Swingline ClassicCut Lite 12 Inch Trimmer Just $29 (reg. $52.49)! 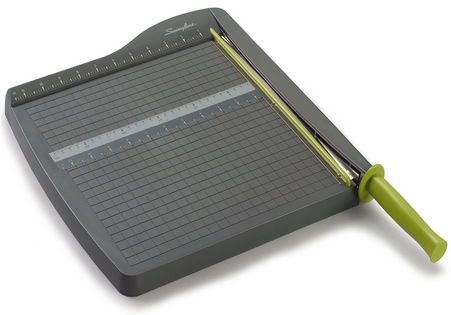 Head over to Amazon and get this Swingline ClassicCut Lite 12 Inch Guillotine Trimmer, Desktop, 10 Sheet for just $29.00 (reg. $52.49)! Great for scrapbooking or cutting coupons! Get FREE Super Saver Shipping with an order of $35 or more or get FREE 2-day shipping with Amazon Prime.